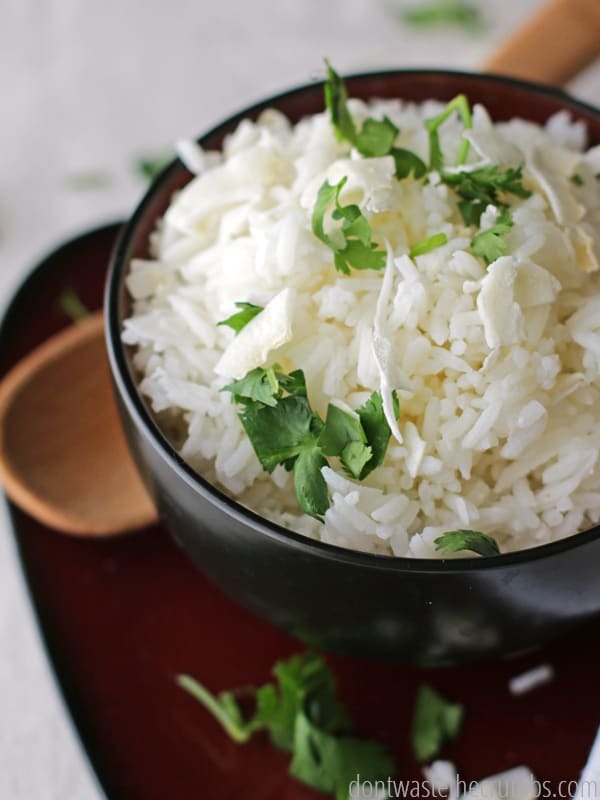 Coconut Rice Recipe: Making Rice Gourmet! 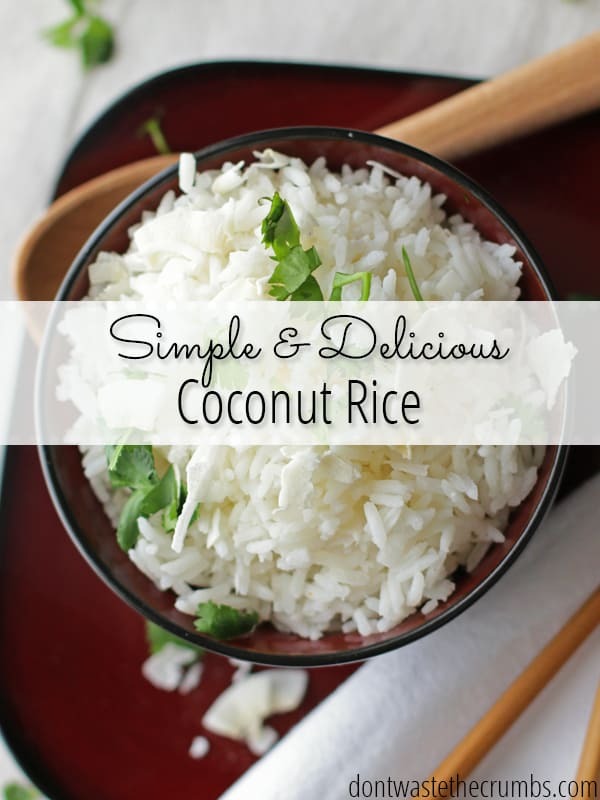 We enjoy coconut rice so much, it’s nearly a staple in our house! It adds so much more flavor to all of our Asian dishes, a must-have on taco night and considering it’s almost too easy to make, there’s no excuse why you shouldn’t try it yourself! 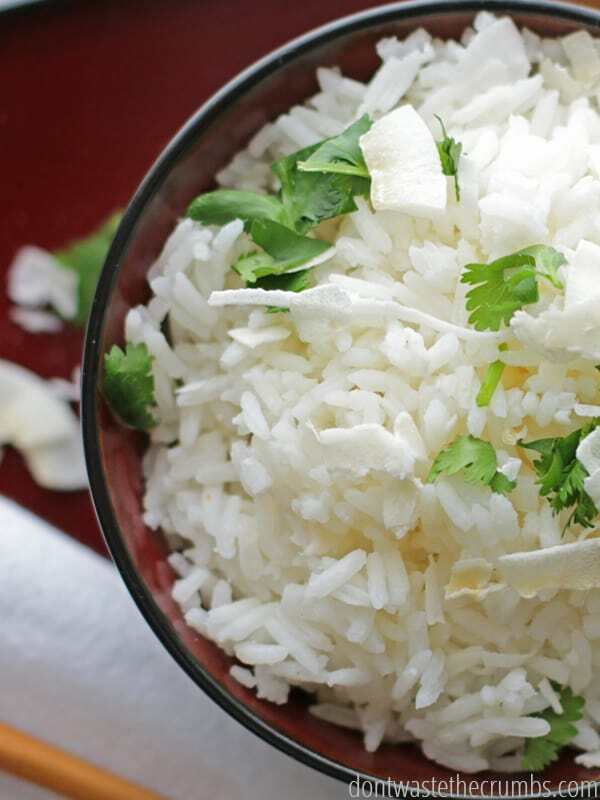 This is a simple, easy and delicious recipe for coconut rice. In a medium saucepan with a lid, stir just to combine rice, water or milk, flaked coconut, oil and lime juice. Bring to a boil, stir well once and cover with lid, reducing heat to low. Let rice cook on low for approximately 15 minutes, or until all the liquid has been absorbed. Garnish with cilantro, or mix it in. Enjoy! We love coconut rice! Do you have a favorite twist to make ordinary rice extraordinary? This looks amazing! I will definitely be trying out soon and will be adding your blog to my news feed for sure ! If I wanted to make this recipe with brown rice would I need to add more than just the 13oz of coconut milk? Thank you! Is the rice supposed to be already cooked before starting this????? Nope, this starts with raw rice. Thank YOU for sharing Kelly! I am new to your blog, but am loving what I have seen so far. We are trying to cut our grocery budget, so your blog will be helpful, I am sure. One question, though. Maybe I am misreading this recipe for coconut rice. Am I understanding correctly that you start with raw rice and only steam it for 5 minutes? I usually steam rice for 22 minutes. Could this be a mistake or is this a “quick cook” rice? Thank you very much. This sounds delicious and I would really like to try it out. I love this – I am so tired of plain rice in my dishes and want to make more bowls at home. Thanks for sharing – I like how simple it is to make! I just noticed that your recipe reads a 5 minute cook time. Could you check for another step? Do you mean a 15 or possibly 25 minute cook time? While on low? 5 minutes is much less than I normally cook rice. Oh goodness, that should be a 15 minute cook time. I wish rice was done in 5! Thank you Lex – I’ll update that now. Can’t wait to try this yummy-looking rice!